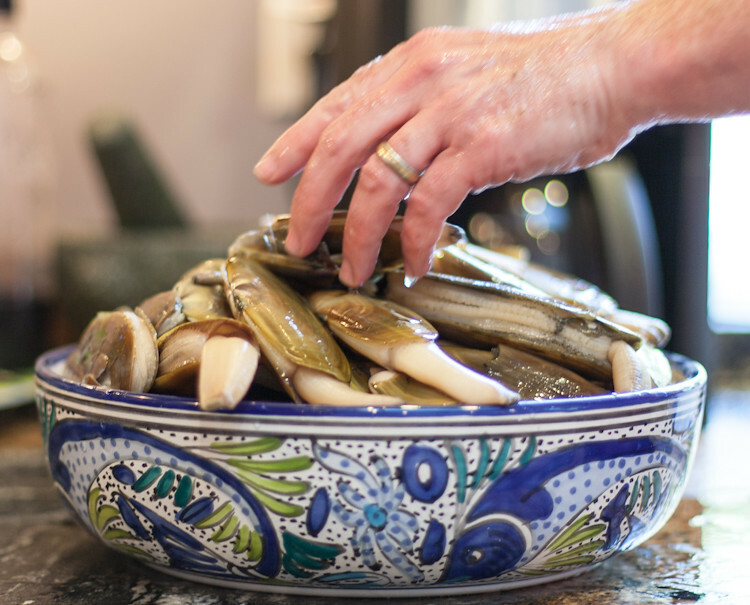 Pacific razor clams for Washington residents are a very seasonal ingredient that is carefully managed by the Washington Department of Fish and Wildlife. In the past before this regulation was put into place the populations were dropping dangerously low due to over fishing. Fish and Wildlife do an amazing job of balancing the health and population of the clams with allowing anybody with the proper license access to dig them up for really good eating. 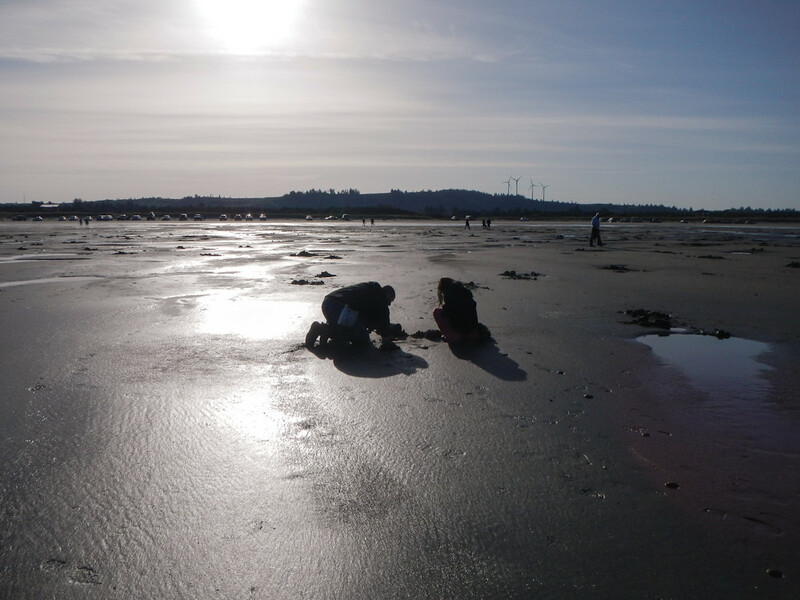 This past weekend was the last razor clam dig of the year until late fall, October'ish, so my family took advantage of this opportunity. The big day at low tide and early morning! Razor clams in one variety or another are actually available in many states, including Alaska, Washington, Oregon, California, along with an Atlantic razor clam variety for the East coasters. They are also found in other parts of the world including Japan, Scotland, China, New Zealand and other countries. I am familiar with and writing about Washington Pacific razor clams but there are plenty of other areas that have access to these delicacies. 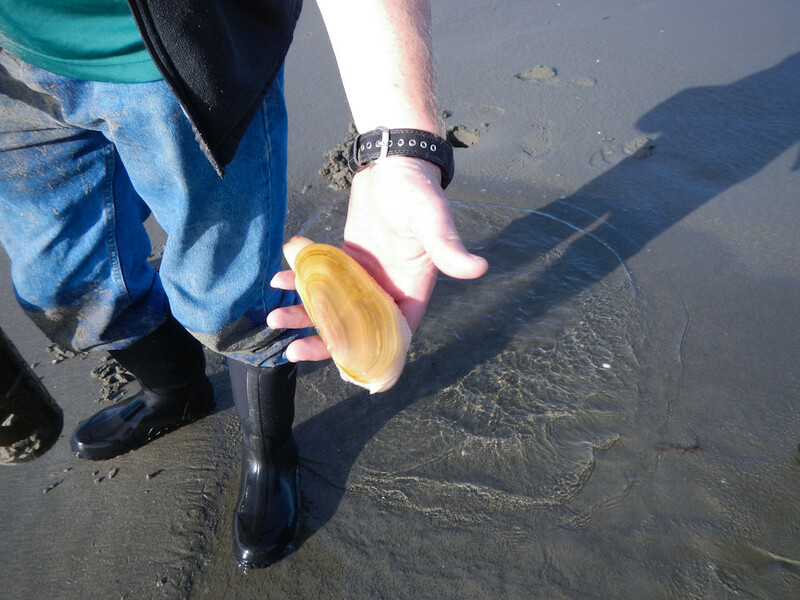 Do a bit of research and you can plan your own beach clamming outing soon. 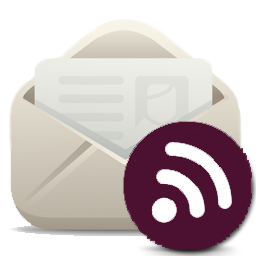 I would recommend starting with the Fish and Wildlife site for the state you are interested in, they are usually a great resource for all the clamming news. Getting a proper Washington fishing license is very easy to do by visiting any of the large sporting goods stores which sell them. You can buy an inexpensive short pass for just a few days or a full season pass, and the license is only needed by anyone 15 years old and up. This means lots of kids can dig for free! For this trip our two oldest were not able to come on a Monday (they can't play hookey as easily as the little ones can), so it was the four of us that headed down the coast to the Westport area. No matter if you as the grownup are doing most of the actual digging, you need to bring a separate bucket for each person - even the kids. You are only allowed to dig up 15 clams a day per person, and the first 15 that you get you keep no matter what size they are. 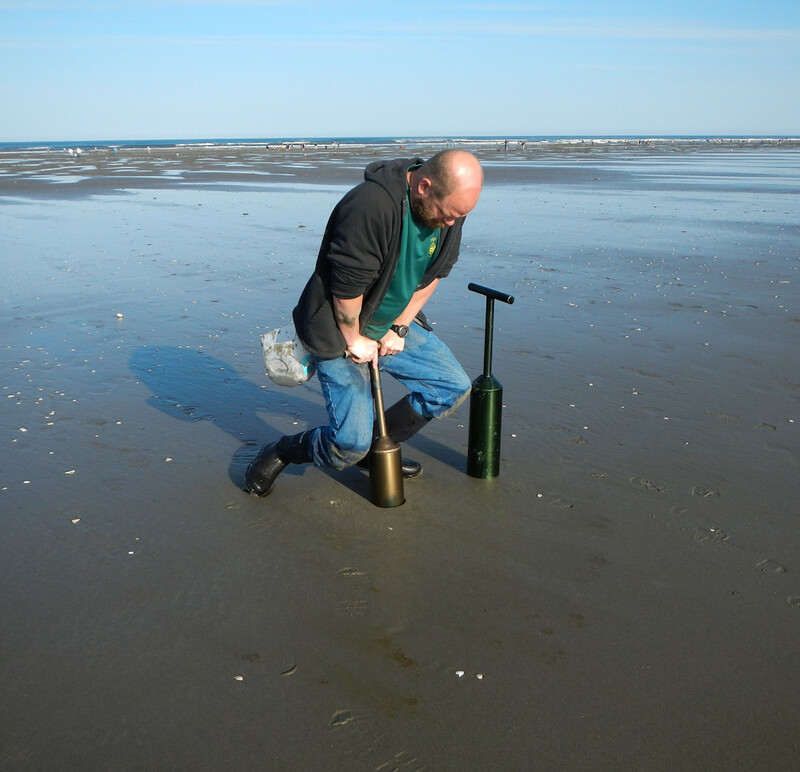 Pacific razor clams have fairly soft shells (you can easily break them with your fingers) so the digging process quite often damages them beyond recovery. You will need to keep each person's 15 clams in their own buckets, even if the bucket carrier is not the prime digger. 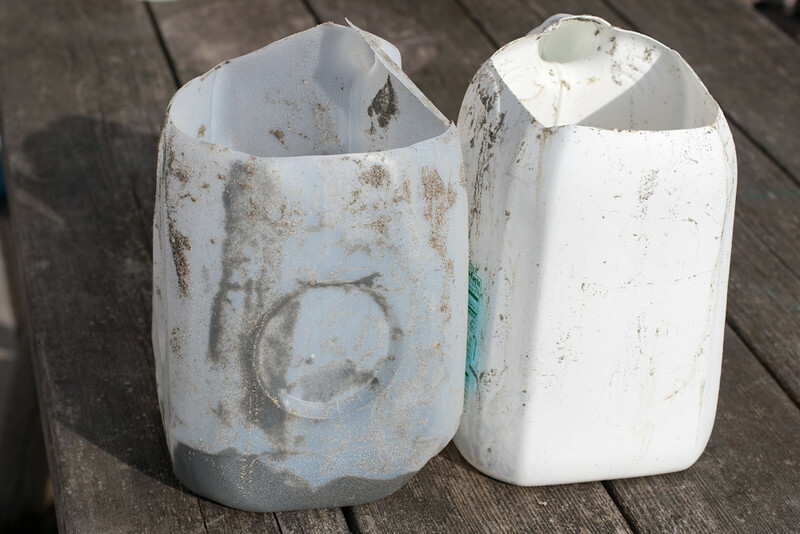 We just use saved milk and orange juice jugs that have been cut to give a good sized opening, but preserving the handle for easy carrying. In our family my husband Peter is the main digger so you will be seeing him a lot in these photos. On the big day itself, make sure you know exactly where you are allowed to dig and exactly when low tide is for that beach. Being off by an hour or two can make getting your limit of clams a lot harder. Fish and Wildlife recommends you arrive 1 - 2 hours before low tide, but I will confess when the tides are low at extremely early morning hours we have been known to show up -at- low tide and still do quite well. The actual digging itself is a race of man vs beast! Ok, man vs very fast cold mud siphoning burrowing clam, but still. You can use a short handled narrow bladed clamming shovel or a clam gun. What a terrible name, huh, clam gun. They are nothing like a gun and I have no idea why they are called that, they just are. 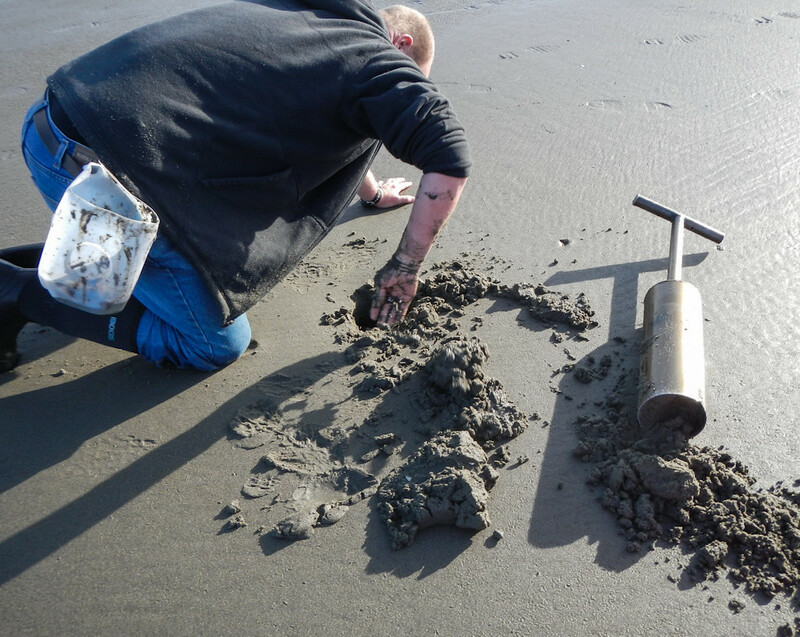 A clam gun is a tube with a cross handle on the top of it that you shove straight down as fast as you can, pushing hard and wiggling to make it get through the extremely dense surf pounded silty sand. Once you get it pushed in you then cover up the air vent with your finger and pull out quickly, getting a start on the hole where the clam is hiding. Now the key is speed - the clam knows you are coming and is running so you have to drop to your knees and get your hand down in to dig dig dig, racing to snag the clam before it gets away. Most often the clams I got were at least to my elbow deep, so 14" and more. There is something so very satisfying about turning a tiny dimple on the surface of the sand into a pile of delicious clams. We were only able to go 1 of the 3 days that were open, but we did get our limit and most importantly we all had an amazing time. The weather was a perfect spring day of sun and fun, even at the wee hours of the morning. 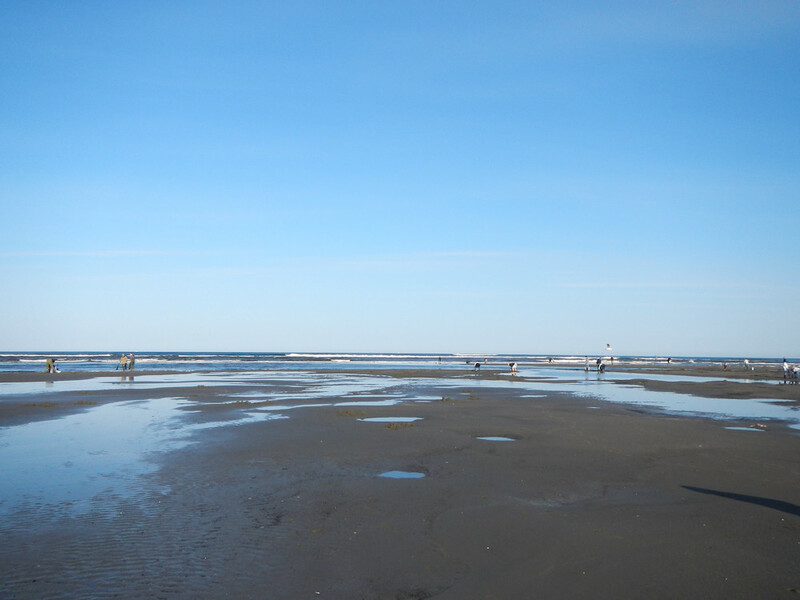 Watch for Razor Clams! Part 2 and Part 3 which cover how to clean and store your clams, and how to EAT them. 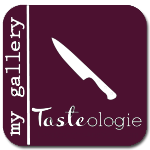 Nom nom nom! This has been shared with Real Food Wednesdays.